A girlfriend recently turned me onto V8 V-Fusion+Energy Drink as a great tasting way to get an energy boost during the day. Right away I loved the fact that it is has natural energy from green tea. I will confess I have used V8 for years as the base of my Spicy Southwest Bloody Mary Mix. I like to make my own concoction. It gives you control over what ingredients go into it. Plus it is a much healthier substitute for pre-made mixes. Added bonus – you can make it as spicy as you like! 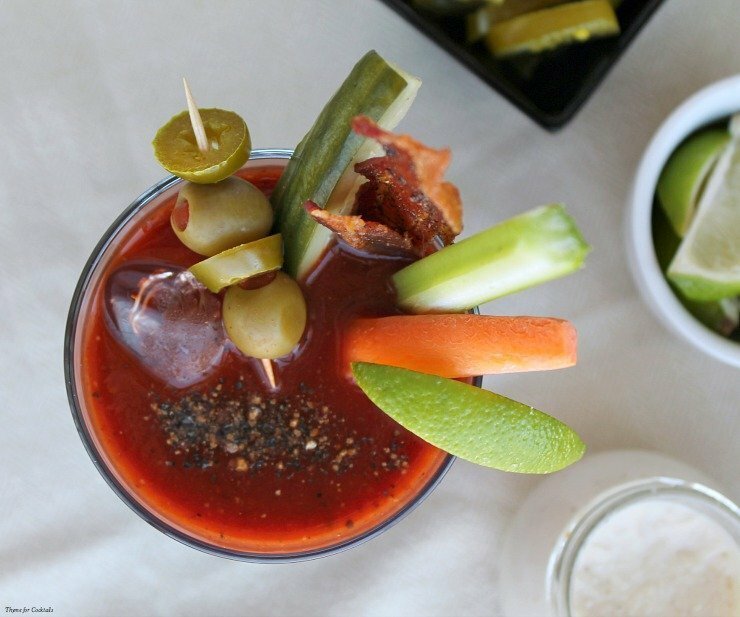 My Spicy Southwest Bloody Mary Mix has some jump to it which can be a bit much for some folks. I like to use fresh local green chilies in this recipe when they are in season. If I can’t find them the canned version works just fine. No jalapeno? Substitute a healthy dose of crushed red pepper or your favorite hot sauce. To really enhance the southwest experience substitute tequila blanco for vodka and make a Bloody Maria. 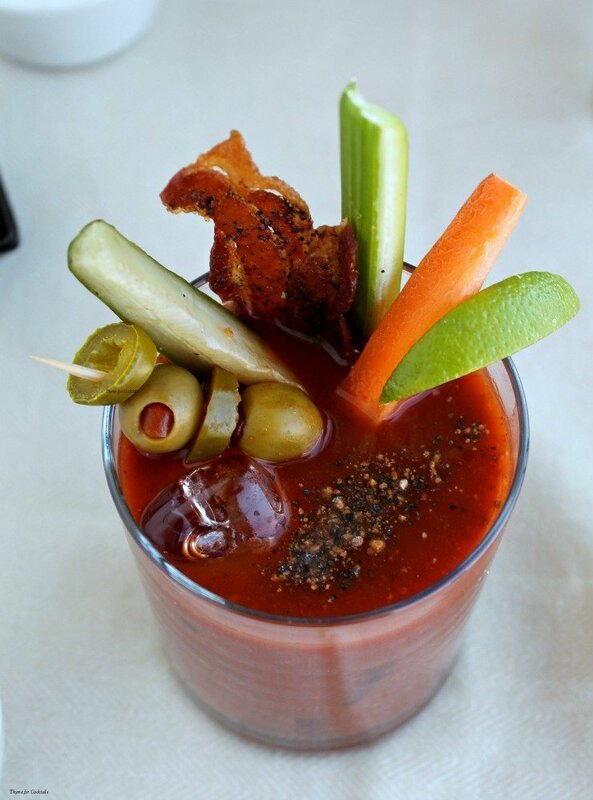 For most people a good Bloody Mary is more than a drink, it’s a complete meal. Mine usually require bacon, pickles, olives, limes, and veggies galore. Maybe the occasional onion ring! I hope you like this Spicy Southwest Bloody Mary Mix as much as my crew does. If you love this spicy drink recipe, you can find more like it by checking out my Cocktail section! For recipe inspiration delivered to your inbox, subscribe to my newsletter, follow my photography journey on Instagram, and for generally inappropriate humor follow like me on Facebook! Add all ingredients to a blender. Pulse until pureed and smooth. Serve chilled with vodka or tequila blanco over ice. Garnish as desired. Tip- For an extra smokey flavor add garlic and jalapeno pepper to a dry skillet over medium high heat first. Sear 3-4 minutes until slightly charred. Puree with remaining ingredients. 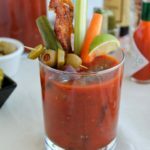 Bloody Marys are one of my FAV cocktails, and this one looks awesome!! My mouth is officially watering. It is such a versatile party cocktail! I adore a good Bloody Mary, and when cocktails have a kick. This sounds simply divine! 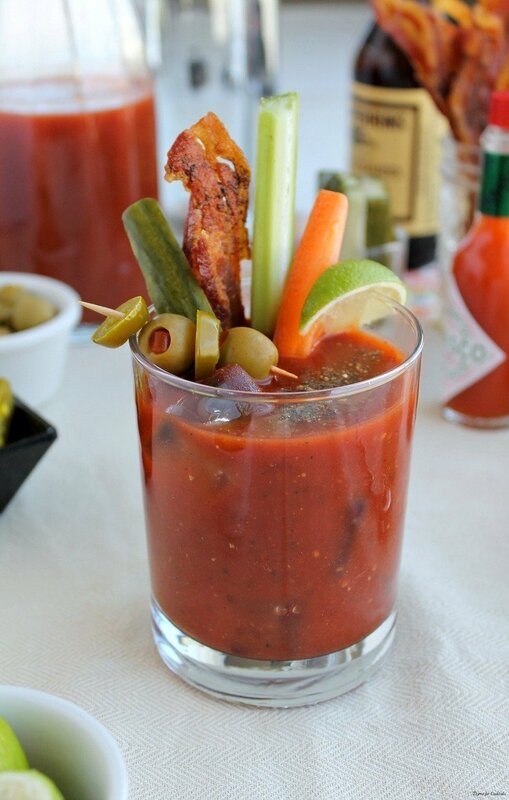 That bloody mary looks like lunch! I would love it if you would link it up to Tipsy Tuesday at Grey is the New Black! Sounds like a plan Pam! This looks amazing. It’s been a long time since I made a bloody Mary so I could totally go for one right now and this time, use the V8 V-Fusion Energy in it. Sounds amazing! 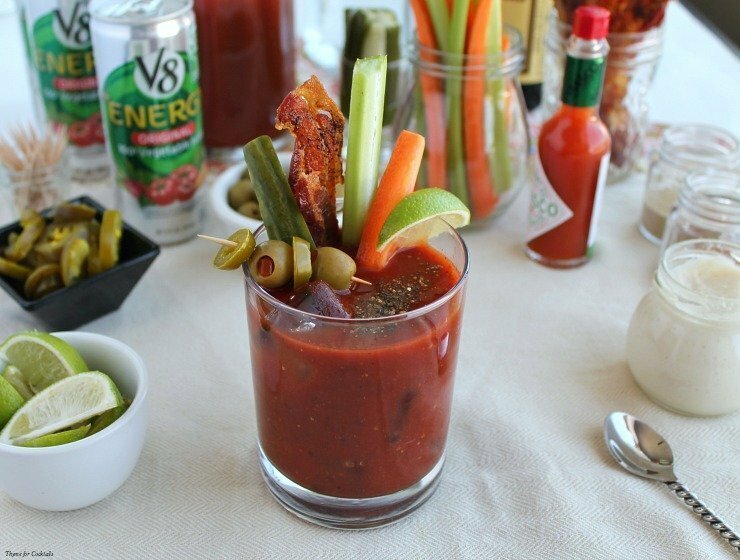 What a beautiful looking Bloody Mary!